Thanks George, I will pass on your wishes to the gang! Looking at playing the quartet live at CGR 10! Enjoy the album and excited to hear your thoughts. Nice to know an album will be winging it's way to BC! Thank you for your support and enjoy the music. I am particularly interested to Chick Corea's Children's Songs and Philip Glass' Mishima on guitar. I have seen Chick Corea a number of times in concert and watched the film Mishima just after release, even bought the album. I bought this yesterday and have enjoyed it +++. In particuar, it's really nice to not have to sit through the same old repertoire, and hear something new and fresh. The Quartet playing live at the 10th anniversary CGR would be a real highlight for me. I hope you can do it. I've listened to the album a few times now. I must say that I agree with Steve about new and fresh. It is very modern, yet not so modern . It reminded me of hours of listening to Frank Zappa and the Mothers of Invention LPs as a youth - what a challenge that was in so many ways. His piece on the album does not really reflect that chapter of his career, except in being so original and different. The Mashima is a remarkable achievement which I just love - the Glass just shines out of it. But the Rosheger Lullaby is the discovery for me - what a gentle and emotional piece that is. I really enjoyed all the music on the album. As for the sound you have produced. It is just great. You know I enjoy your playing a lot. But here, as well as the usual technical and emotional precision, you seem to have a fuller, richer, more mature tone, and immense sympathy with the music. Congratulations. Thanks Erik! Hope you enjoy it. Thanks Steve, great to hear that the album is offering you something new and fresh, really happy to hear that. Thank you George for such thoughtful and careful listening, it is really rewarding to know people like yourself are out there listening. ...But the Rosheger Lullaby is the discovery for me - what a gentle and emotional piece that is. I really enjoyed all the music on the album. The Rosheger was a real dixcovery for me a few years ago on a David Russell CD, Philip's music is gorgeous and I thought it was a nice way to bring the album to a close. Very nice playing and a great piece, which guitar is this I really like the tone. It is a Michael Ritchie guitar and it is really nice, been playing it for a good number of years now, love the sound! Can't help thinking everyone is missing the most important aspect... that's a really sharp haircut! Seriously though, congratulations Matthew on the new album and looking forward to hearing it. Anyone know if Zappa has appeared on any other classical guitar album or has Matthew bagged a first? As you are so open about life as a pro I hope you don't mind me asking a couple of questions. Did you record each piece in a single take or are they edited together? And are there any other pieces that almost made it onto the album but didn't make the final cut for whatever reason? 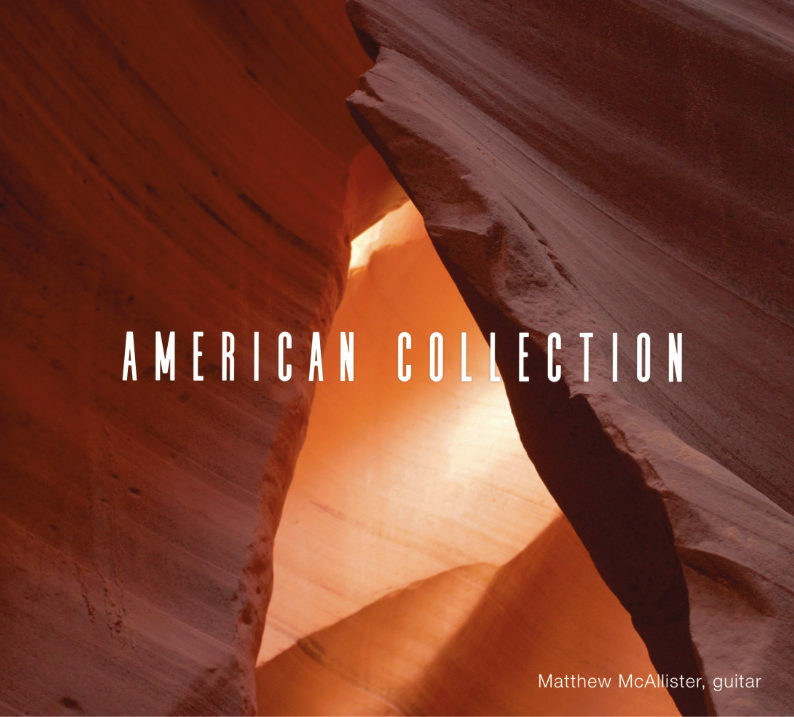 I just ordered the American Collection. Especially for the recording of Philip Glass: Mishima String Quartet for guitar quartet. I hope one day to play it with my guitar quartet.